Putting bullets in a post is easy. Just position the cursor at the line and click the Bulleted List icon. Blogger blog post editor will automatically insert a bullet in front of the line. If you use another blog editor, no worries, yours most probably comes with Bulleted List and Numbered List icons too. Putting bullets in a sidebar is not as straightforward, but not difficult either. You just need to do some coding in CSS (Cascading Style Sheet). In line 4, that’s the code for bullet, it’s called list-style-type property, with square as value. To change bullet type, you change the value. Not that many bullets to choose from isn’t it. Well good news, you can also use image as a bullet. 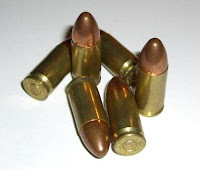 Where YourBulletUrl is the link to your bullet image. Hey, your list might look like this if you want to, just be creative. Note: You can change the bullet style in posts too, just look for post ul instead of sidebar ul. 7 comments to "Using bullets in a list"
Hi, why this code can't seem to work for me. I was trying to put a bullet on my Recent Post widget for the title. Hope you could help me. Thanks. thanks for stopping by. The code given is for inserting bullets into a list. It is not applicable for the title. Looking back, my example might have misleaded you, my mistake. Anyway you still can insert an image in front of the title, just go to Edit HTML, tick the Expand Widget Templates and look for your Recent Post title. Preview your change, if it's good, then save. Hi, the ordered and unordered list is ok in my blog. Except when I put a drop-down frame in. How to fix this issue? Your response very much appreciated. Sorry but I don't see a dropdown on your blog. It will affect all widgets.